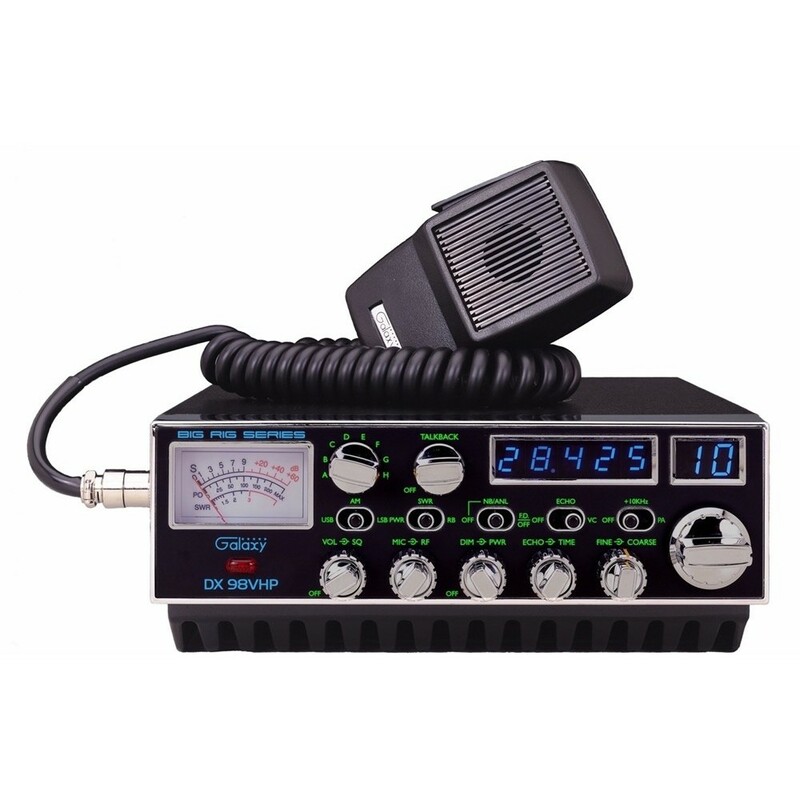 The DX 98VHP has what you need to get your RX/TX fix on the 10 meter band. It has an easy to read front panel meter to measure incoming signal strength, RF power output and SWR. It has an illuminated face plate for easy viewing while traveling at night. Heavy duty knobs and switches give you control over features such as talk back, volume, squelch, noise blanker and automatic noise limiter, mic gain, RF gain, echo, and channel. The channel selector is easy to use, the band selector is a no-brainer the Echo effect is awesome and the PA (public Address) feature is a plus. If you want real 10 meter action with the look and feel of a traditional transceiver, the DX 98VHP is the radio to get it done. The DX 98VHP comes with a 4 Pin Microphone, Mounting Bracket, Mounting Kit, Wiring Kit, Owner’s Manual and a 2 year limited manufacturer's warranty..